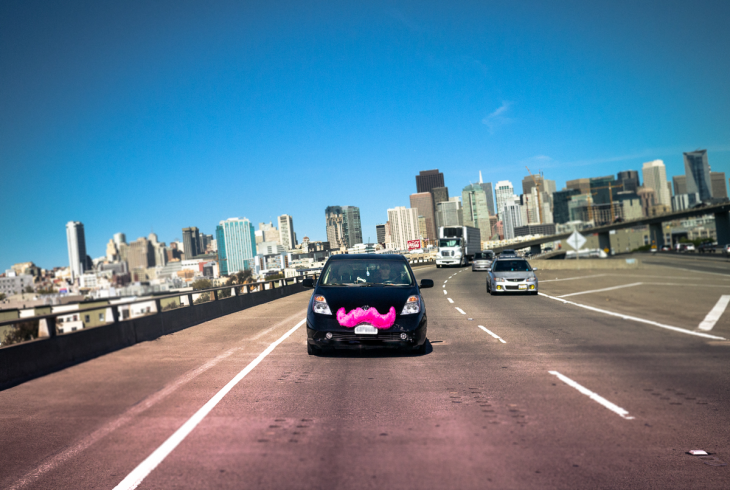 Lyft is getting more aggressive with its multiple passenger ride-sharing service Lyft Line. Today the company announced it has acquired ride-sharing platform Hitch. Hitch is a San Francisco-based car service similar to Lyft and Uber that boasted it was half the price of both of those more established services. Lyft announced that the Hitch platform will close tomorrow and that current Hitch drivers are invited to join Lyft. Hitch customers will have to create a Lyft account if they don’t already have one. No user information will be transferred over in the acquisition. Lyft said that the acquisition would help with developing and expanding the Lyft Line service. The company recently announced a limited launch of the service in Los Angeles. The full service is currently only running in San Francisco. Lyft Line allows users to opt-in to a shared ride along the same route with other Lyft passengers. Because you’re carpooling, Lyft says you can get up a 60 percent discount on your ride. Of course along the way you’ll be sharing the ride with strangers. Both Uber and Sidecar have launched similar services (awkwardly all on the same day) all offering discounted rides for hanging out in a car with strangers going in the same direction as you. Unfortunately, Recode reported earlier this month that the CPUC (California Public Utilities Commission) isn’t a fan of the car services and it sent companies letters saying that they were breaking the law. The CPUC rule cited in the letter was not written expressly for TNCs, and it was also not written to prevent casual carpooling, which has been used by commuters for decades. Lyft Line streamlines the process of connecting commuters who want to share the ride in a safer and more convenient way. We encourage the CPUC to interpret this rule from a 21st century position that puts consumers first and in a way that fits the spirit of the law. We have received an overwhelming response from Californians in support of Lyft Line and we will continue to work closely with the CPUC, as we’ve done since 2012, to secure a future for this innovative option throughout the state of California. Meanwhile, Lyft still wants you to make friends while catching a ride. “Both Lyft and Hitch have long shared the same vision for shared rides – which are inherently social – and joining forces on this mission is a natural fit,” it said in a statement.